Impeccable collaboration. 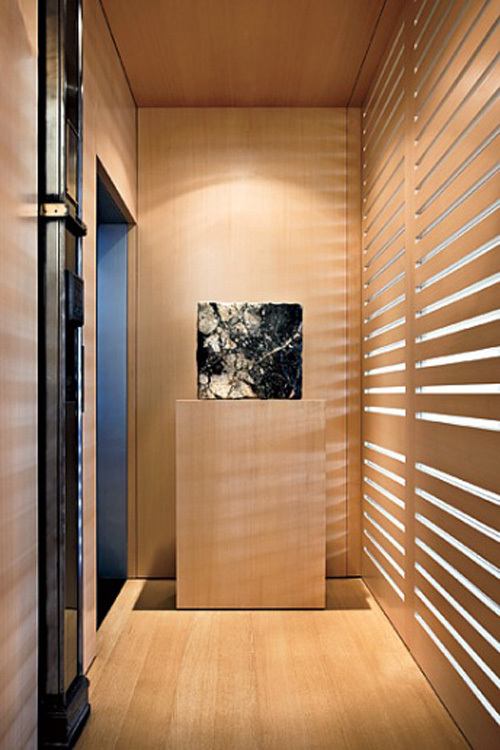 I am drawn to the subdued monochromatic colors, the pale bleached woods which create a continuous space and the perfect balance of collectible pieces. I love this idea of the low bookshelf fluidly connecting the two living area’s and dining room. Pierre Jeanneret caned and ebonized-teak chairs, Franz West pendant. Flawless design. White lacquer cabinets with oak topped bar. 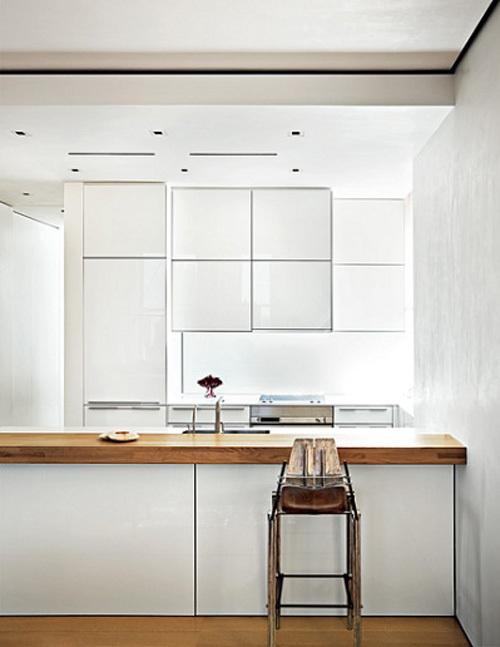 Bulthaup kitchen. This vintage chair is making my heart go pitter patter.